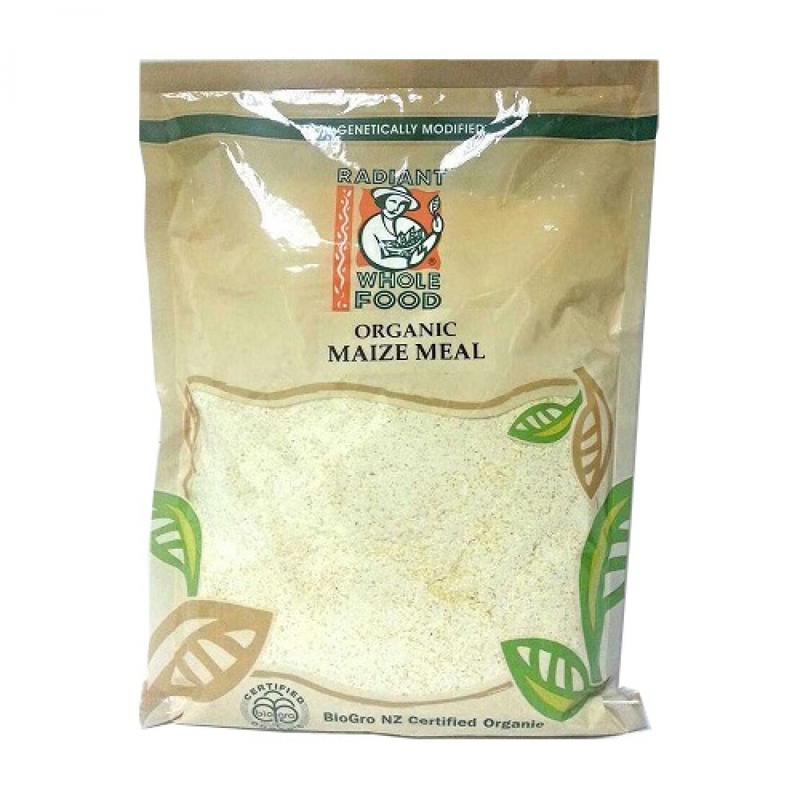 Produced by coarsely stonemilling the maize into a gritty textured meal, Radiant Organic Maize Meal is loaded with carbohydrates, protein, fibre, the B vitamins niacin, thiamin and riboflavin, and minerals potassium, magnesium and iron, and it contains very little fat and almost zero sodium. Probably the humblest of all breakfast cereals, maize meal, also known as corn meal, or polenta, is nevertheless a reasonably balanced, nutritious way of giving your day a kick-start. Cook maize meal in milk for a hot breakfast. Use maize meal in place of wheat flour in baking to create gluten-free baked foods.